Google is developing an operating system (OS) for personal computers, in a direct challenge to market leader Microsoft and its Windows system. 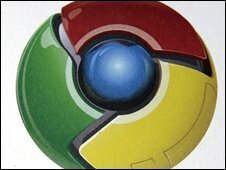 "Speed, simplicity and security are the key aspects of Google Chrome OS," the firm said in its official blog. The operating system, which will run on an open source licence, was a "natural extension" of its Chrome browser, the firm said. The news comes just months before Microsoft launches the latest version of its operating system, called Windows 7. "We're designing the OS to be fast and lightweight, to start up and get you on to the web in a few seconds," said the blog post written by Sundar Pichai, vice-president of product management, and Google's engineering director Linus Upson. So at long last Google is making its move. It is poised to strike at the heart of Microsoft's software empire. Both men said that "the operating systems that browsers run on were designed in an era where there was no web" and that this OS was "our attempt to rethink what operating systems should be". To that end, the search giant said the new OS would go back to basics. "We are completely redesigning the underlying security architecture of the OS so that users don't have to deal with viruses, malware and security updates. "It should just work," said Google. Google already has an operating system for mobile phones called Android which can also be used to run on netbooks. Google Chrome OS will be aimed not just at laptops but also at desktops for those who spend a lot of time on the web. The announcement could dramatically change the market for operating systems, especially for Microsoft, the biggest player with around 90% share. "This announcement is huge," said Rob Enderle, industry watcher and president of the Enderle Group. "This is the first time we have had a truly competitive OS on the market in years. This is potentially disruptive and is the first real attempt by anyone to go after Microsoft. "Google is coming at this fresh and, because it is based on a set of services that reside on the web, it is the first really post-web operating system, designed from the ground up, and reconceived for a web world," Mr Enderle told the BBC. Last year Google launched the Chrome browser, which it said was designed for "people who live on the web - searching for information, checking e-mail, catching up on the news, shopping or just staying in touch with friends". Stephen Shankland at CNET said the move had widespread implications. "One is that it shows just how serious Google is about making the web into a foundation not just for static pages but for active applications, notably its own such as Google Docs and G-mail. "Another, it opens new competition with Microsoft and, potentially, a new reason for anti-trust regulators to pay close attention to Google's moves." Some commentators said Google's motivation in all this was pretty clear. "One of Google's major goals is to take Microsoft out, to systematically destroy their hold on the market," said Mr Enderle. "Google wants to eliminate Microsoft and it's a unique battle. The strategy is good. The big question is, will it work?" At the popular blog, TechCrunch, MG Siegler said: "Let's be clear on what this really is. This is Google dropping the mother of all bombs on its rival, Microsoft." Microsoft releases Windows 7 later this year to replace Windows Vista and Windows XP, which is eight years old. The Redmond-based company claims that 96% of netbooks run Windows to date. In a separate announcement Google also revealed that many of its most popular applications had finally moved out of trial, or beta, phase. Gmail, for example, has worn the beta tag for five years. "We realise this situation puzzles some people, particularly those who subscribe to the traditional definition of beta software as being not yet ready for prime time," wrote Matthew Glotzbach, the director of product management in the official Google blog. The decision to ditch the beta tag was taken because the apps had finally reached the "high bar" mark, he wrote. More than 1.75 million companies use Google apps, according to the firm.